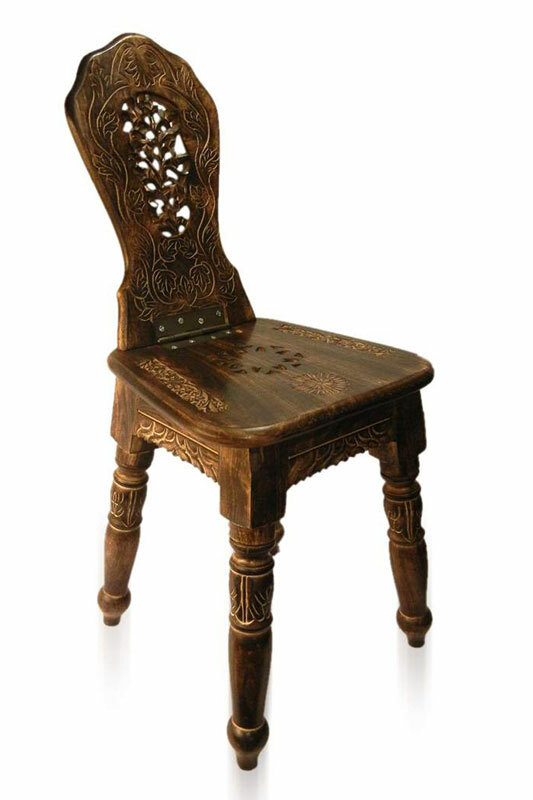 A chair made of wood and wrought iron. 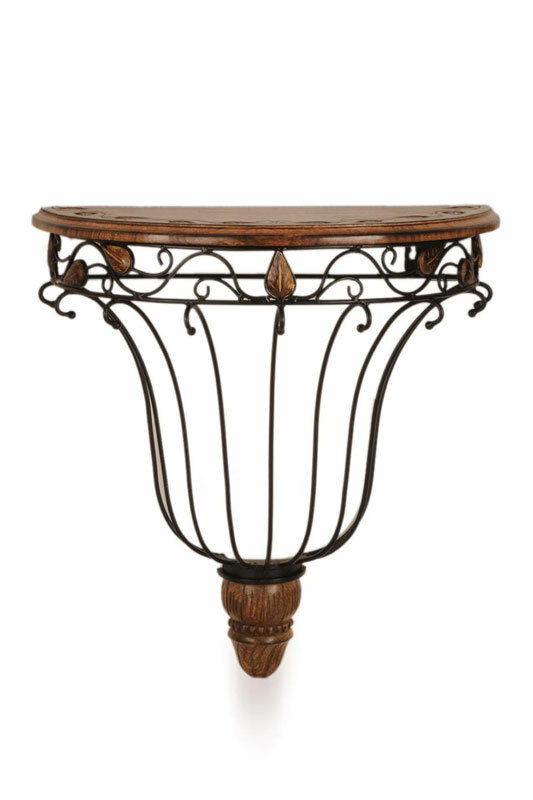 A table made of wood and wrought iron. 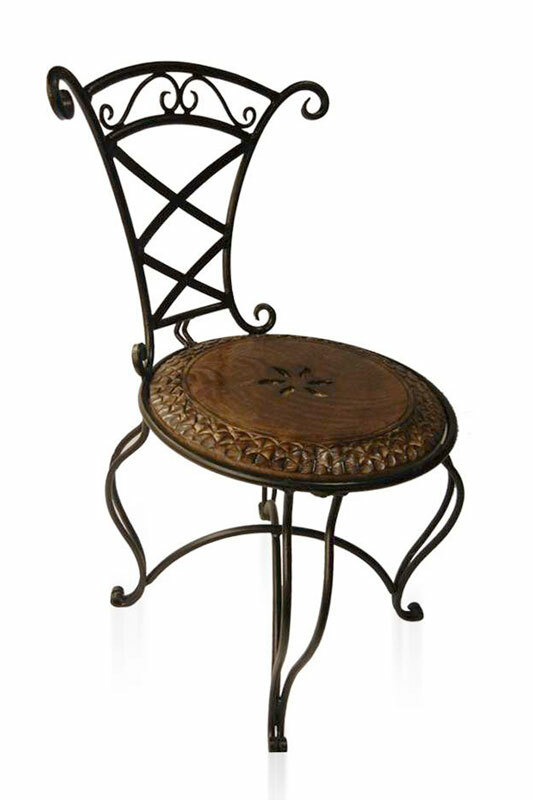 A box-stool made of wood and wrought iron. 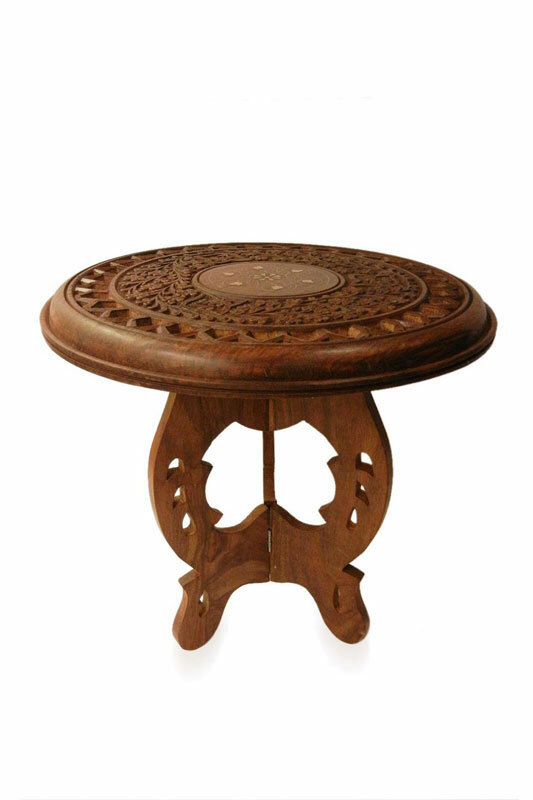 An all-wood table with brass inlay. 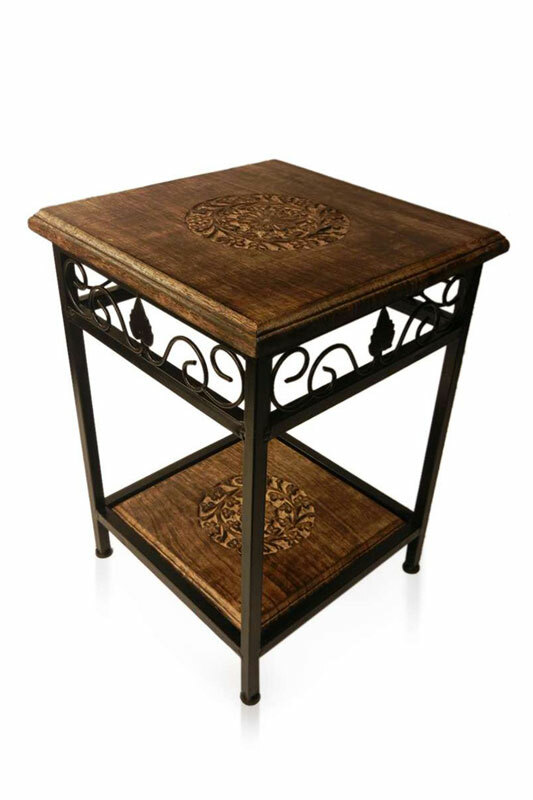 A set of three nesting tables with brass inlay. A wall bracket made of wood and wrought iron. 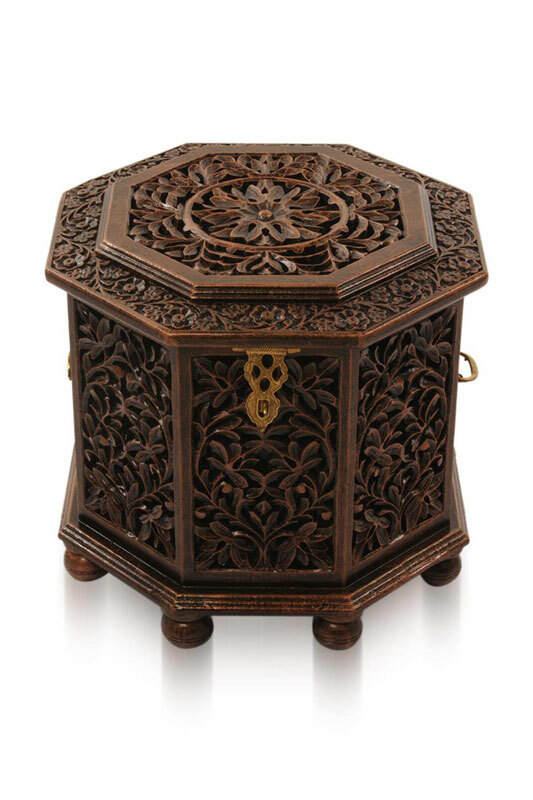 An all-wood storage box, intricately carved. 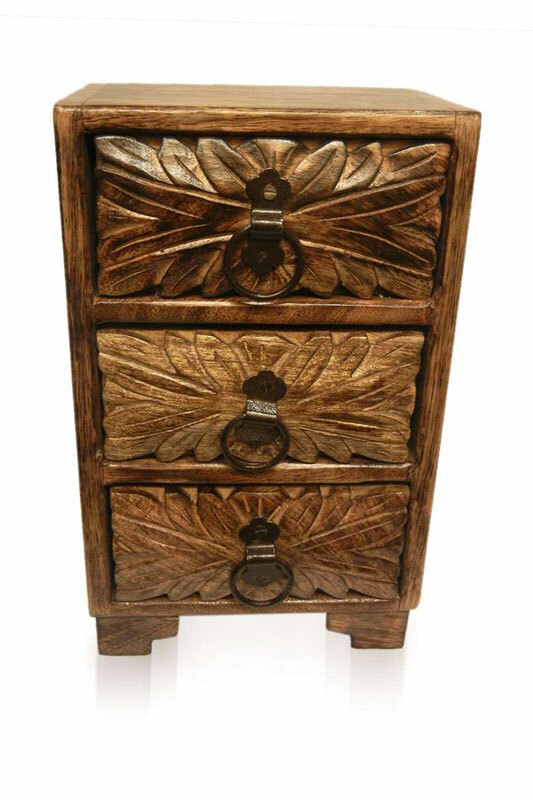 Drawers to keep small things like stationery, jewelry etc. 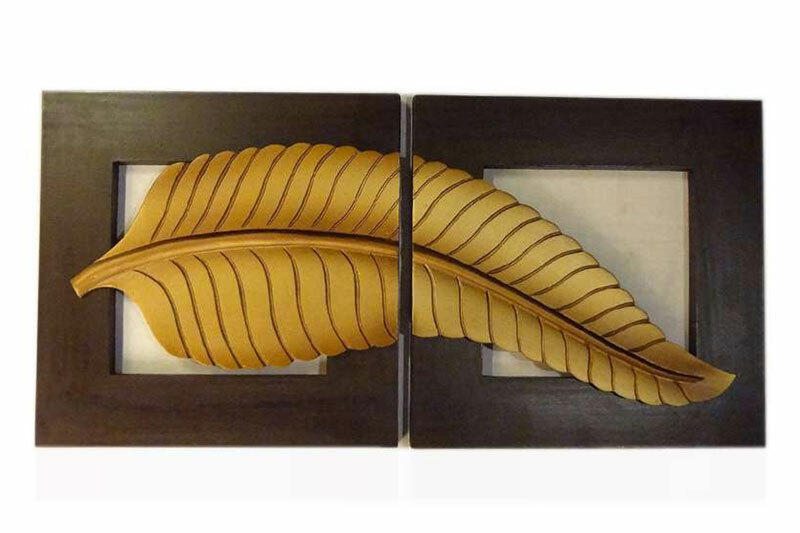 Popularly known as the ‘sheesham wood village’, Saharanpur is home to some of India's finest wood carvers. The city is internationally famous for this craft and its artisans who have been creating magic with the material for years. They ‘breathe life into dead trees’ is how they like to put it. 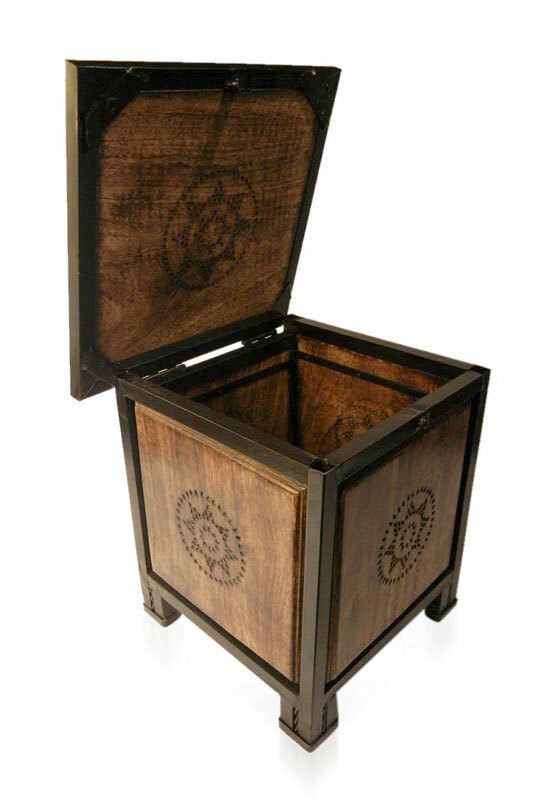 The intricate and fine workmanship is what makes these products unique. The vine-leaf patterns are a specialty of this region. 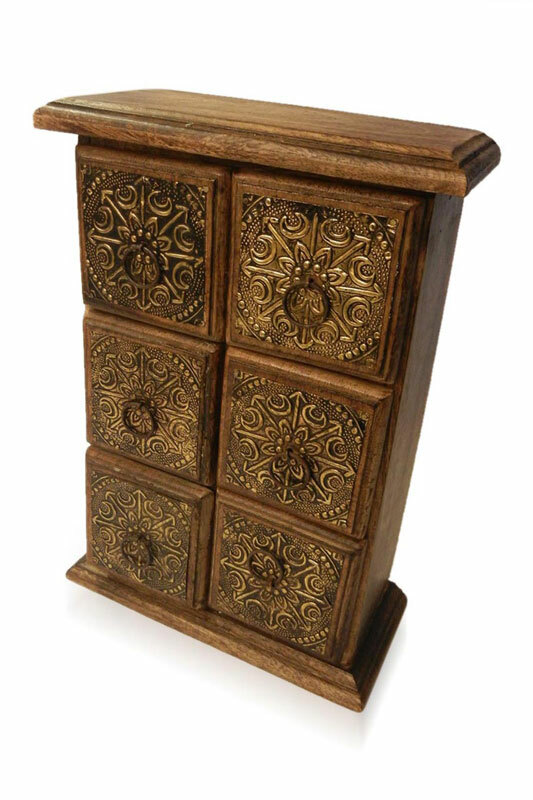 Geometric and figurative carving is also done along with absolutely gorgeous brass inlay work. 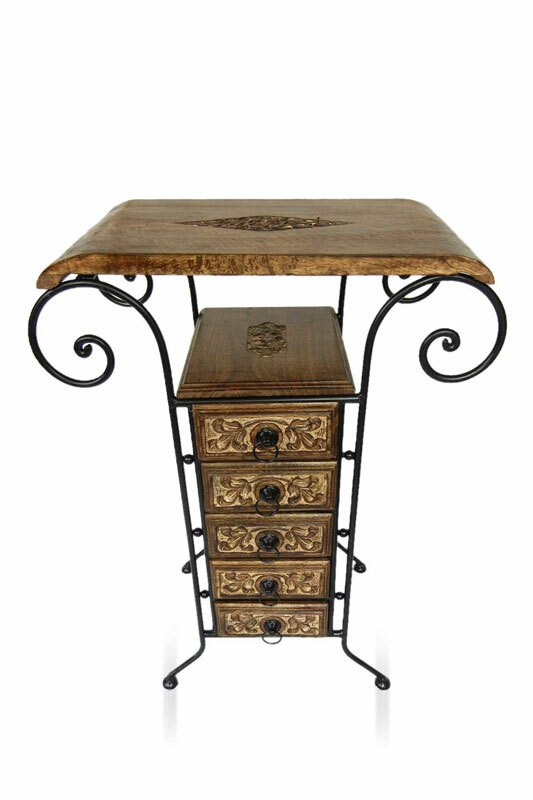 Other materials like wrought iron, ceramic and glass are being combined with wood to give a new dimension to the craft and ‘contemporize’ the traditional products. 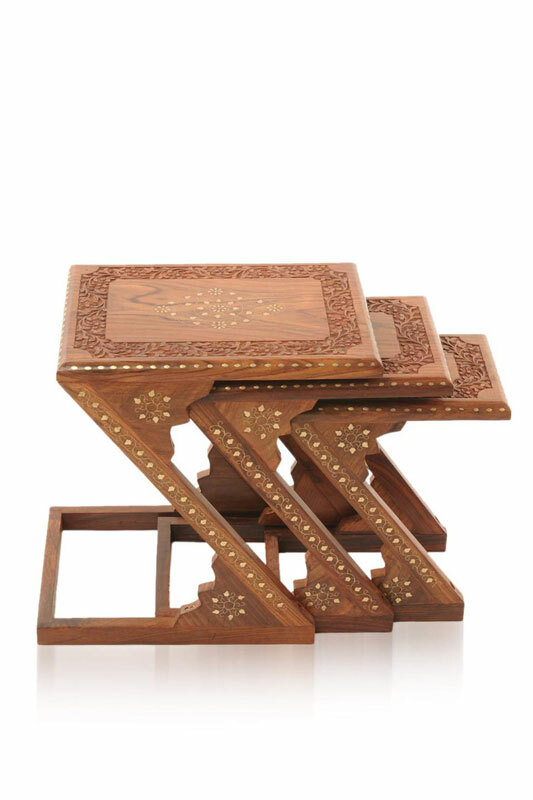 The ‘typical’ product range includes decorated furniture, candle holders, screens, room-dividers, tableware, boxes, mirror frames, book-shelves, pen stands and children’s toys. Apart from these, the craftsmen are trying out newer products and materials every day to innovate upon the existing product categories.